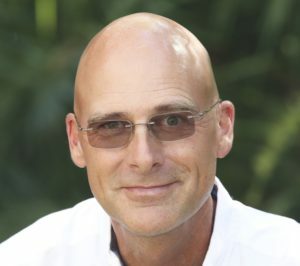 Those of us who have lived in east central Florida for any length of time know that as soon the temperature nears 80 degrees in the spring, something happens. Yes indeed; on the first warm spring day, Mother Nature will flip the switch and subterranean termites will begin to swarm. Springtime is mating season for most animals and subterranean termites are no exception. 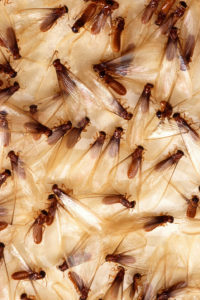 Swarming termites are often the first sign that a homeowner has a termite problem. What do swarming termites mean to homeowners in the Daytona Beach area? Fortunately, not much–IF your house has been treated and inspected by a reputable termite company providing your bond. To those who have let their homes go untreated, the season may bring a whole host of problems. Whether you own a frame or block home, your home can become infested with subterranean termites. While it may take several years to suffer structural damage, the cost to rid your home of termites and repair the associated damage can be significant and inconvenient. Regardless of what a contractor may tell you, termites will not destroy your house in the time it will take you to research local pest control companies and hire one. Avoid any contractor that attempts to scare you into signing a contract quickly. These are often the same contractors who will charge higher rates to perform your treatment. This is not the way to begin a long-term partnership with your termite company. Have your home inspected and treated for subterranean termites only by a licensed and reputable contractor offering a damage repair bond. This may take a bit more effort than merely calling the first one that shows up on Google. If you do find a contractor this way, take time to look at reviews on Google, Facebook, and Yelp. Then, contact the service provider personally either by phone or by email. Note how long it takes them to respond to your request. If it takes a long time to respond to an email or call, it may be an indication they will be slow to respond to your complaints or concerns as well. A “termite bond” is essentially a small insurance policy that obligates the contractor to treat termite infestations found after the initial treatment at no additional charge to the customer. A damage repair bond is almost always preferred to a retreat bond. Be sure any pest control provider you interview offers this, and request a copy of the contract to verify the bond is “damage repair.” Monetary limits can range from a few thousand dollars to over $1 million. Choose one you are comfortable with. Once you have settled on a contractor, confirm they hold the proper license to perform the work. 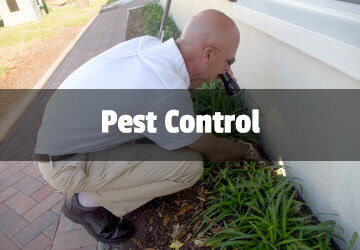 Not all pest control contractors are certified by the State of Florida to perform termite treatments or inspections. A search of the Florida Department of Agriculture directory will provide the confirmation you need. The last item of concern is to confirm the contractor has appropriate insurance to perform work on your home. This can also be done through the Florida Department of Agriculture, or by requesting a certificate of insurance from your contractor. Make sure to complete these steps before any work is performed. Renew the bond yearly. As a homeowner, you should keep track of the renewal date of your termite bond. Just look at the treatment decal your contractor posted on the electrical panel or water heater when he performed the treatment on your home. Renew your bond before it expires. If it expires, there may be a reinstatement fee charged before it can be renewed. Although some companies will renew a termite bond without it, I still highly recommend yearly inspection by a knowledgeable technician. Respond promptly to any findings discovered during the inspection. They may include improper foundation drainage, roof leaks, or plumbing leaks. If these conditions go unresolved, it may be grounds for your termite bonding company to terminate your coverage. 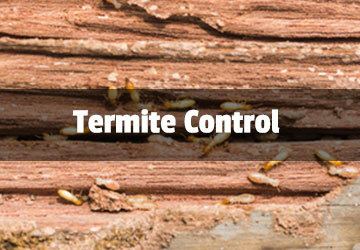 Whenever you need honest answers to your termite or treatment questions, please contact Universal Pest Control. We don’t believe in fear tactics and are proud to offer damage repair bonds for our customers. We are also fully licensed and insured. 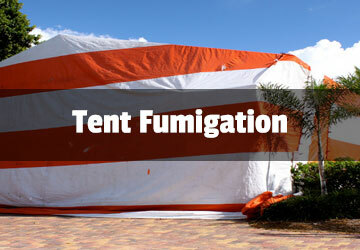 Reach us online at www.BugandTermiteControl.com or by calling 386-673-1557.